Fun fact: Justin Trudeau is his first name! His full name? Justin Trudeau Adam Bilal. 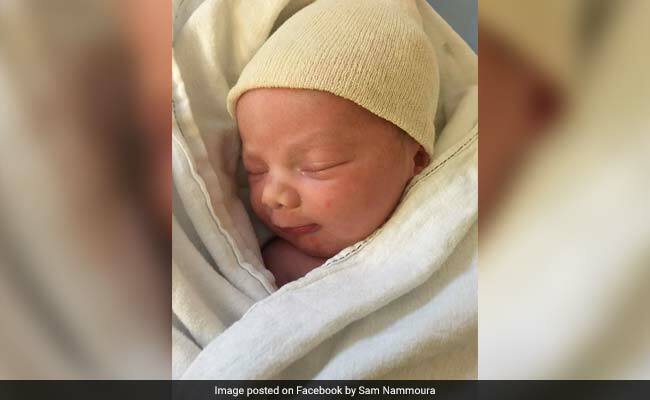 New Delhi: A Syrian couple, refugees in Canada, named their newborn son after the country's Prime Minister Justin Trudeau. Muhammad and Afraa Bilal arrived in Canada in February last year with their two young children - Naya, 4, and Nael, 3 - after escaping the war-torn Syrian capital Damascus. As a way of thanking the Canadian Prime Minister for allowing Syrian refugees to enter the country, the couple decided to name their newborn son after him. Fun fact: Justin Trudeau is his first name! His full name? Justin Trudeau Adam Bilal. According to the Toronto Star, baby Justin Trudeau was born at 6.15 pm on May 4. "He's the first Canadian (in our family)," his 22-year-old mother tells the Star. "He got his citizenship before us!" Her husband, 29-year-old Muhammad, was detained by the Syrian army briefly. The couple fled Syria after discovering authorities were looking for him again. "Canada is much more safe - there's no war, nothing," Ms Bilal tells the BBC. "Everything is different, everything is good - nothing like Syria." The couple admits adjusting to life in Canada was hard at first, primarily due to the cold weather and because they did not know a lot of English. But now Ms Bilal speaks fluent English and her husband works part-time in a grocery shop. The couple hopes baby Justin Trudeau will one day meet his namesake. "He is a really nice man," Ms Bilal says. "He helped us a lot. This was a small thank you for bringing us to Canada. We want to thank him and all the Canadian people." Prime Minister Trudeau's refugee policy has led to the resettlement of more than 40,000 refugees in Canada since he took office in November 2015.